Koa was born and raised in Jefferson City, Missouri, moved to Hawaii in 2007, and currently lives in Kailua. 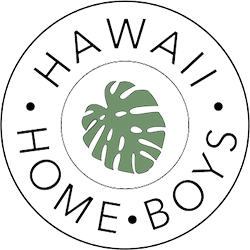 He cites his passion for real estate as being rooted in his wish to "bridge the educational gap that often separates Hawaii residents from home ownership or investing in real estate." He goes on to state that home ownership in Hawaii is about "having early conversations with a local Real Estate Expert, and working hand-in-hand with them to establish a practical road-map to accomplishing their real estate goals". Having spent over 11 years in the Customer Service industry, Koa's "customer first" attitude translates perfectly to his client approach. Constant anticipation of his customer's needs is instinctual, and is reflected in his early success and tremendous year over year growth in the business. 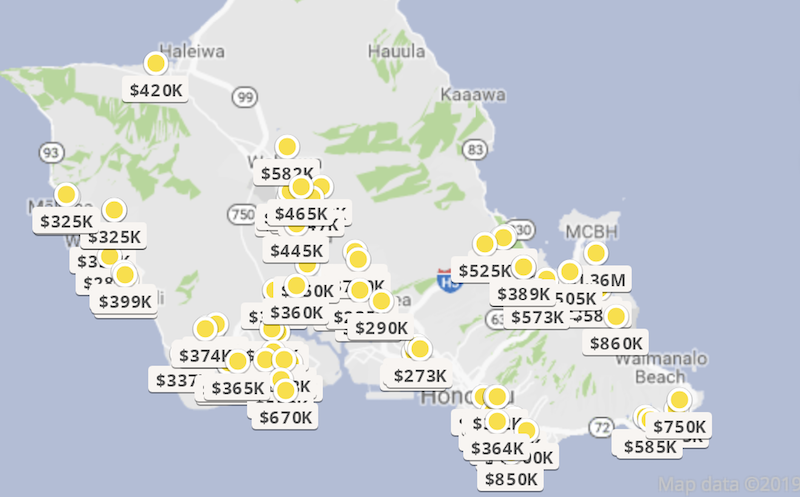 As a Hawaii Real Estate investor himself, Koa's skin in the game promotes a vested interest in keeping a "pulse" on the Oahu Real Estate market, as well as providing accurate and real-time advice to his prospective buyers and sellers. - Aldine & Jo'van H.B & Eleanor H.
"From start to finish Koa was very professional and always kept us in the loop on what we needed to complete to ensure a smooth process. 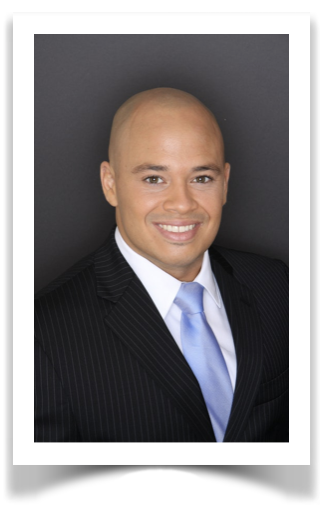 We would highly recommend him to anyone wanting buy or sell a home!" "He's very knowledgeable and if we had questions he responded quickly. If he didn't know the answer he would still get back to us within the same day with the answer. Pleasant to work with and very trustworthy!" - Reid & Erin H.
"Koa slayed dragons in every facet, and at every phase, of our recent home purchase. Down-to-earth, calm/cool/collected, tireless worker, and awesome communicator. I consider Koa a part of our family now, will push business his way at every turn I encounter, and will use him for every future real estate need of my own. Mahalo." "Koa is the best agent I have ever worked with and I will tell all my friends about him. I sold real-estate for years and have not seen this kind of dedication ever. I also get the feeling that he really cares about me my family and our success in real-estate. I feel confident that he can answer all my questions with his own knowledge or the resources provided by his company." 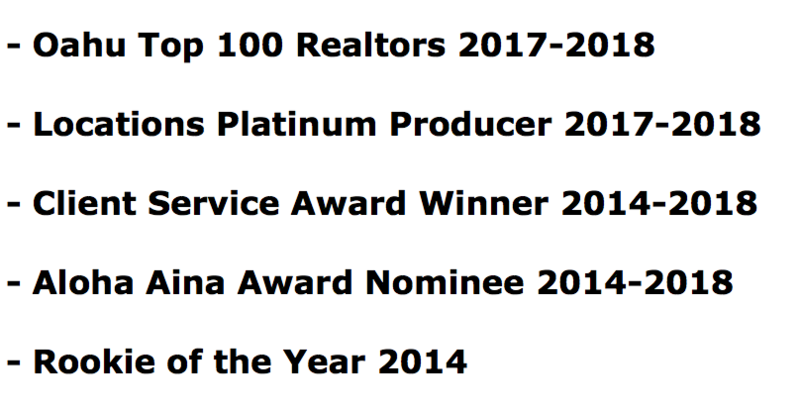 "I've never met a real estate agent who works smarter or harder than Koa. He made me believe that I could achieve my goal of purchasing real estate in Hawaii - a market that isn't exactly designed for a single young female to succeed. I feel so lucky to call him my realtor and friend. Thanks Koa, for everything!" "Koa was a great agent for us. He was obviously knowledgeable about buying properties and he made the process less scary and intimidating. He was supportive and responsive to all of our inquiries, even on weekends. We liked the online and app access to our Locations account so that we could keep up to date on new listings and changes in status. Overall, we had a great experience and we will look to Koa for help in our future property endeavors!" - Kaleonani H. & Zacheri H.
"Koa is a credit to the profession, and I appreciated his guidance and mentorship. This was my first home and the experience was a very nervous and stressful time for me. Many times I was led one way or another and without Koa's guidance there was a good chance I would have pulled out of my offer and regretted it later. I look forward to working with him in the purchase of my next property further down the road. Best regards and much mahalo brother."